You know what your patients need, but they may be unclear about why cardiac testing is important for them. Providing useful information can help them understand and better prepare for their test experience. Explain why the test is being performed and how the test results may be used to make decisions about patient care. Help your patients understand the test preparation requirements to avoid potential rescheduling. Check that your patients know the location of the testing facility, how to prepare for the test, and what they can expect on the day of the test. Encourage your patients to contact the testing facility with any specific questions. Download To keep these preparation tips handy, download a PDF of the checklist above. Find more educational resources to help prepare your patients for a cardiac test in the Library. Your patients can also access more detailed information on cardiac stress testing by signing up for the Stress Test Coach at StressTestCoach.com. 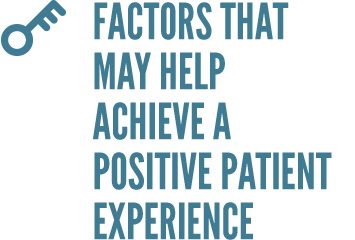 Everyone is focused on helping patients have a positive experience. When it comes to cardiac testing, there are a few factors you can keep in mind. Coordinate with the nuclear lab to help make the scheduling process as seamless as possible. Educate patients so they can be better prepared for their testing experience. Provide results to the patient on time, review what the results mean, and discuss next steps.